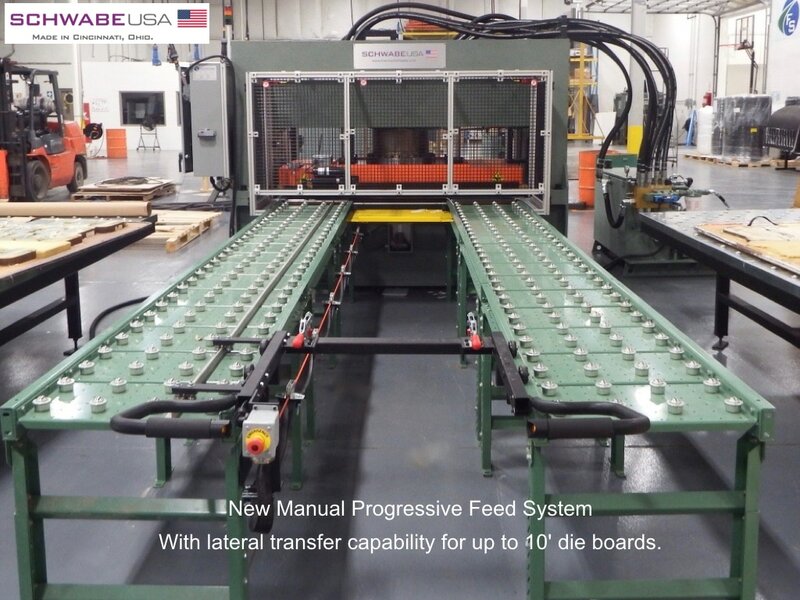 ﻿﻿﻿Manual Progressive Feed System - This simple incremental feed die cutting system is used for cutting both rolled and sheeted goods in multiple layers. 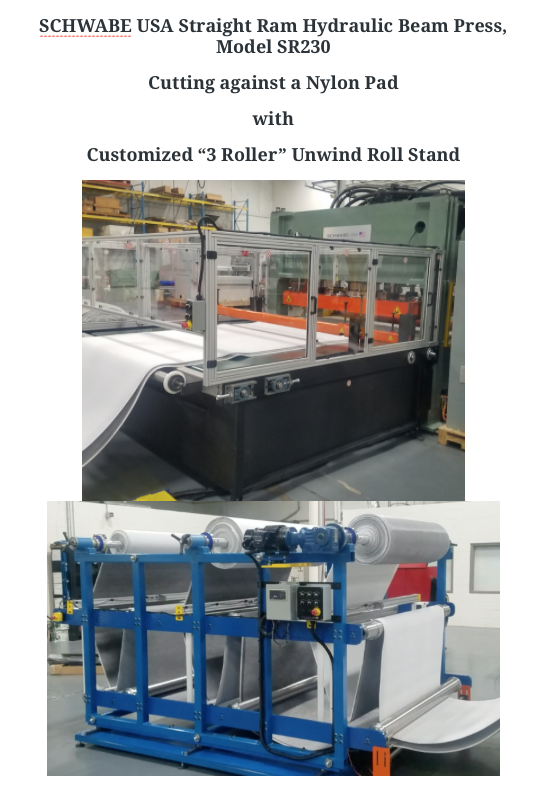 Widths up to 2m wide can be accommodated and materials can be cloth, vinyl, foam, and laminates of all thicknesses. Popular choice with Automotive Interior Trim Industry. 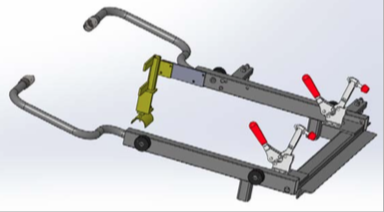 Manual feeding of the die reduces machine cost and is great for mid to low volume applications. Inverted steel rule dies, cutting upwards into a plastic cutting block. 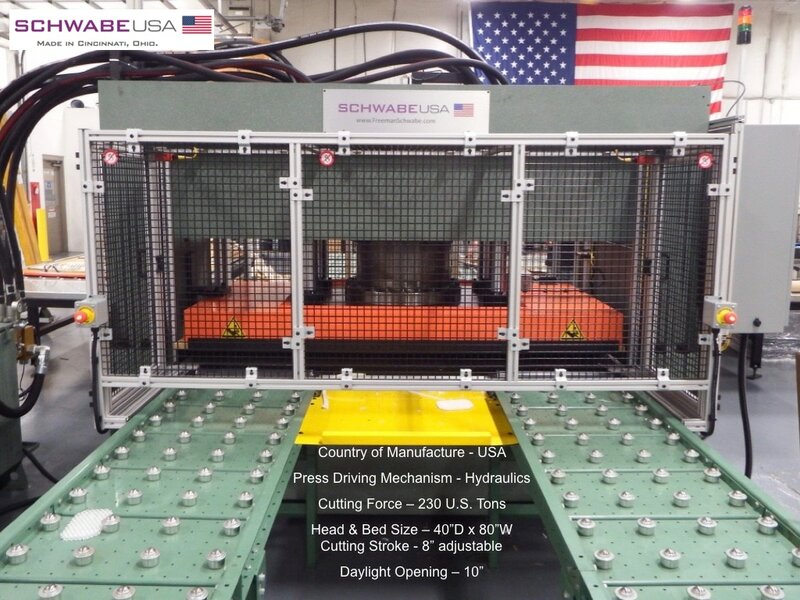 Check out the machine demo below of a SCHWABE USA Straight Ram Beam Hydraulic Cutting Press Model SR 230 with manual progressive feed system with trolley and clip-on handles. 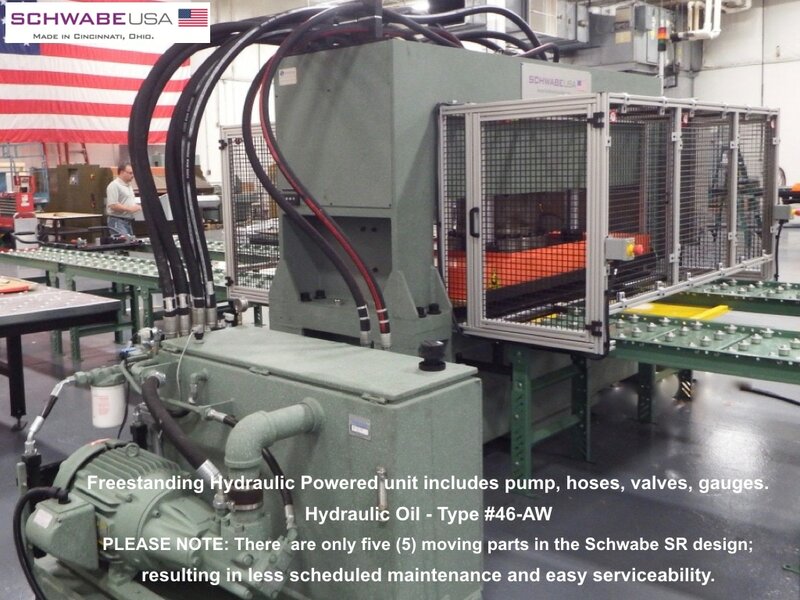 Check machine demo of a SCHWABE USA Model SR 150 Straight Ram Beam Hydraulic Cutting Press with Manual Progressive / Incremental Feed System and horizontal Die Storage.